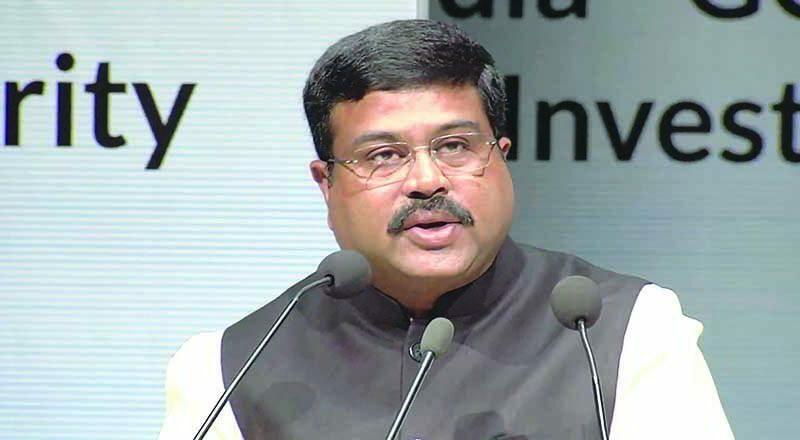 The Union Minister for Petroleum & Natural Gas and Skill Development & Entrepreneurship, Dharmendra Pradhan has stated that Government will soon make a decision which will ensure that not a single poor family will remain where Pradhan Mantri Ujjwala Yojana has not reached. The Minister was speaking at a programme in Mumbai, where the success of the scheme was highlighted; many beneficiaries of the flagship scheme of the Government were also present on the occasion. Stating that the Prime Minister had expressed the Government’s commitment to the welfare of the poor, women and marginalized, the Minister said that schemes such as Swachh Bharat, Deen Dayal Upadhyaya Gram Jyoti Yojana and Ujjwala lend credence to this declaration. He said that according to the World Health Organization, around 15 lakh women die every year due to home emissions, 5 lakh out of which are in India alone. The residential heating and cooking with fuels also causes many diseases amongst women, who often do not realize the real cause of these diseases. The launch of Ujjwala and provision of LPG connection is changing this and has led to various social and economic benefits to the poor, said the Minister. It has led to savings in time spent collecting wood, resulting thereby in improved opportunities to earn income and spend time with the family. It has a positive outcome on health, children’s education and employment. He said that the LPG connection is cost-effective, environment-friendly, health-enhancing and time-saving. The number of total LPG connections given has become 25 crore, from 13 crore in 2014, said the Minister. Out of these, 6 crore connections have been given under Ujjwala scheme. He added that the scheme was launched with an initial target of 5 crore connections, which was later raised to 8 crore by the year 2020. The target of 6 crore has already been achieved, Shri Pradhan informed. A report based on the survey of Ujjwala scheme was submitted to Pradhan on this occasion. The Minister said that Ujjwala was launched, based on the realization that the initial purchase cost of the connection is high and not affordable for the poor. He added that the subsidy for purchase of LPG cylinder is credited to the bank account of the beneficiary in not more than four days.